View our current RiverCenter on the Road Schedule Here! RiverCenter on the Road performances are curriculum-based, educational assemblies that are not only entertaining, but also support the curriculum-connected standards of your school. Our RiverCenter On the Road experiences are some of our most unique, save time, preserve educational ‘seat time’ and have no transportation costs. To make your reservation or to check pricing and availability, contact Rick McKnight, Education Program Manager, at 706-256-3609 or education@rivercenter.org. 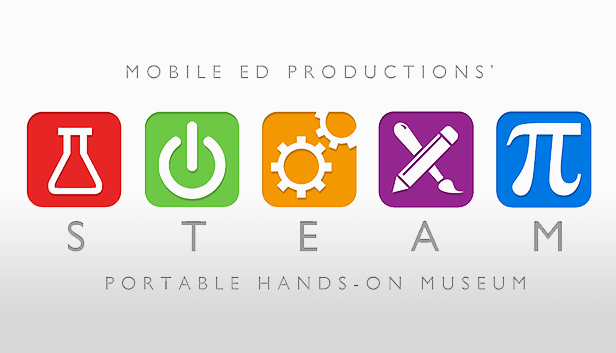 Are you ready to turn your gymnasium or multipurpose room into a state-of-the-art, hands-on children’s museum focused on STEAM education? You’ll find 10 workstations to augment your existing science and math curriculum. In addition, we put the A in STEAM by opening up your students’ right brains through activities that encourage divergent thinking. This program is an all day in one school program because of the load in/out time. Learn the principles of storytelling from a very unlikely person! Young Authors Day is designed to support and enhance the creative writing curriculum. The day begins with an all-school assembly by a classically trained mime artist introducing students to the “art of silence.” The performer discusses the differences between writing for the stage and writing for the page as the components of a story are explained. He stresses the importance of structure and he tells the students where to get inspiration for their own original stories. Freshly inspired, your students then return to their classrooms to write their stories for the performer. During the writing process, the performer stops in classrooms to answer questions and help with the writing. The day culminates with a second afternoon assembly in which the students are recognized for their fine work. A number of their own stories are selected ad are then actually acted out by the performer, live, for the entire school to enjoy. This program is, again, an all-day program, and one of our very best. Air is a lot more exciting than you think. In this awesome assembly program, students learn about air and our atmosphere through a series of ultra-cool demonstrations showing the weight of air and the effects of atmosphere and vacuums using air cannons, windbags, frisbees, and even a working hovercraft! Over a morning or early afternoon, we can reach your entire student body. A chance for kids to discover and learn through creative play, improvisation and performance! 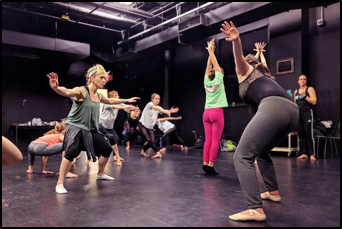 Pilobolus@Play is a one-of-a-kind opportunity for kids, ages 6 to 12, to engage in Pilobolus’ signature processes of learning through movement. Through creative play, improvisatoin, motor skill building, and performance, children will discover their own creative voice and learn how to share it with others.